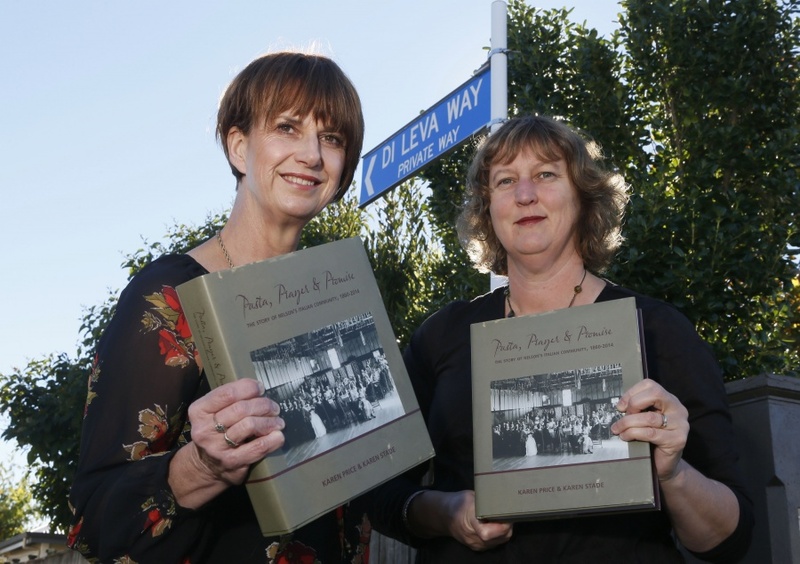 Exciting news - nearly two years after its launch my writing partner Karen Price and I have been recognised for our history of Nelson's Italian community, Pasta, Prayer & Promise. Receiving a highly commended award, it is one of the top three books in the Canterbury Historical Association's J.M. Sherrard Award in New Zealand Regional and Local History (2016), which has just been announced. The award encourages scholarly standards in the research and writing of New Zealand regional history. The 2016 judges were Adjunct Professor Geoffrey Rice (Canterbury University), Associate Professor Caroline Daley (University of Auckland) and Associate Professor Jim McAloon (Victoria University). All three are well-known historians in their own right and the authors of various New Zealand history books and journal articles. Judging notes said that Pasta, Prayer & Promise was "an absorbing and heart-warming book, thoroughly researched and well-written". Special mention was also made of the book's high production values, two indexes (names and subjects) and 28 pages of reference notes. The winning book was Catherine Knight's Ravaged Beauty: an Environmental History of the Manawatu. The other highly commended book was A History of Tawa, by Bruce Murray. We knew the story of Nelson's Italians deserved to be told we're really pleased it's been received so well not only by the Italian community but also the wider New Zealand history and academic communities.